In the 4th and final class of the Learn to Sew Series we tackle garment sewing using the Stevie Pattern from Tilly and the Buttons! 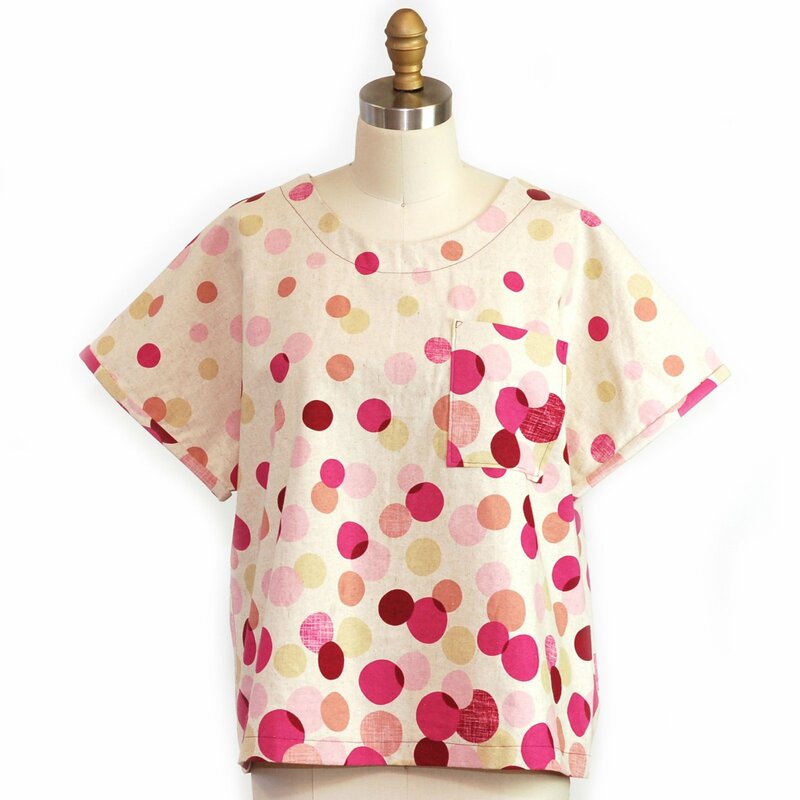 If you can cut fabric and sew a straight line, you can make this top! We will work together to find your unique pattern size, understanding garment patterns, and work through the directions to make this very cute top that you will love to wear this Summer! Tuition of $40 includes: Two 2-hour class sessions, and a one-time 10% off discount coupon for in-store merchandise (excludes Makers’ Cafe®). MUST PURCHASE AND PRE-WASH FABRIC PRIOR TO CLASS. Contact meagan@makersmercantile.com with any questions. Materials Included: A one-time 10% off coupon for in-store merchandise (excludes classes).